The same day Roy Cady is diagnosed with lung cancer, the organized crime enforcer in New Orleans is given a job to do by the boss who inherited his services. The job itself is unremarkable, but when the boss — who has begun sleeping with the woman Cady was seeing — adds the unusual instruction that Cady must be unarmed, the career hardcase knows something is up. 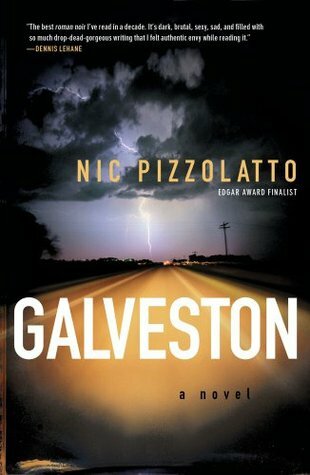 So begins Galveston, a fast-paced and stylish crime thriller by Nic Pizzolatto, the creator, writer, and executive producer of the HBO crime series True Detective. I have not seen the show myself, but a TV critic whose column I read highly recommended Galveston so I decided to check it out. Although traditionally published, I was pleased to find the Kindle version of Galveston priced at just $2.99 — that’s Indie author/publisher territory which means it fit my budget.